I consider myself to be primarily an artist and work in various traditional printmaking techniques including etching and collagraph. However I have been a keen amateur photographer for a number of years and use a Nikon D600 full frame camera with various lenses, my favourite being the Nikon 105mm Micro lens. 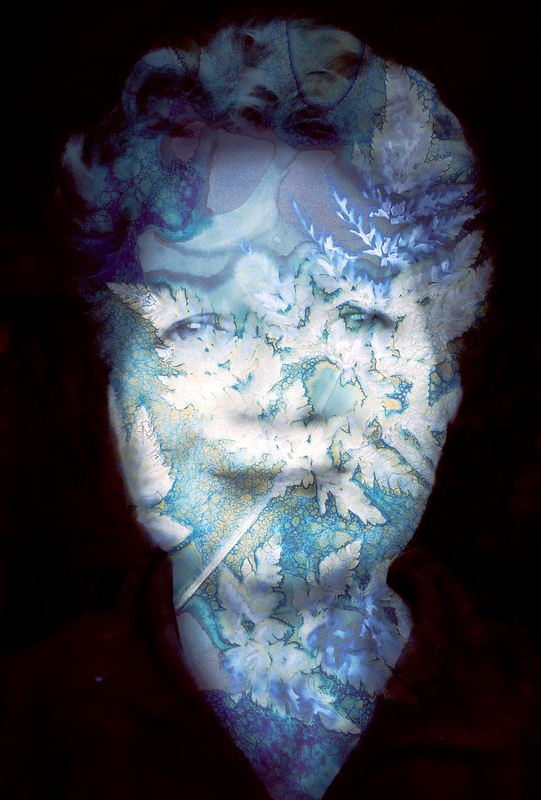 Over the last couple of years I have been working with the alternative photographic process of cyanotype. I attended a one day workshop a few years ago to learn the basic technique and I have developed my style and technique since then by experimenting with various effects. On sunny days I can be found in my garden in North Yorkshire exposing botanical prints using local plants from my own garden and the local hedgerows. 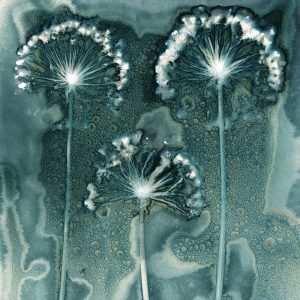 The process of wet cyanotype involves adding moisture to the process and by using different household items such as washing up liquid, coffee and baking powder I have been able to create painterly and fluid images, each of which is totally unique and unpredictable. I am largely self taught having attended a couple of digital photography courses at a local college to learn the basics, followed by years of practice. One of my photographs was Highly Commended in IGPOTY Collection 5 Fragile Landscapes category in 2012.